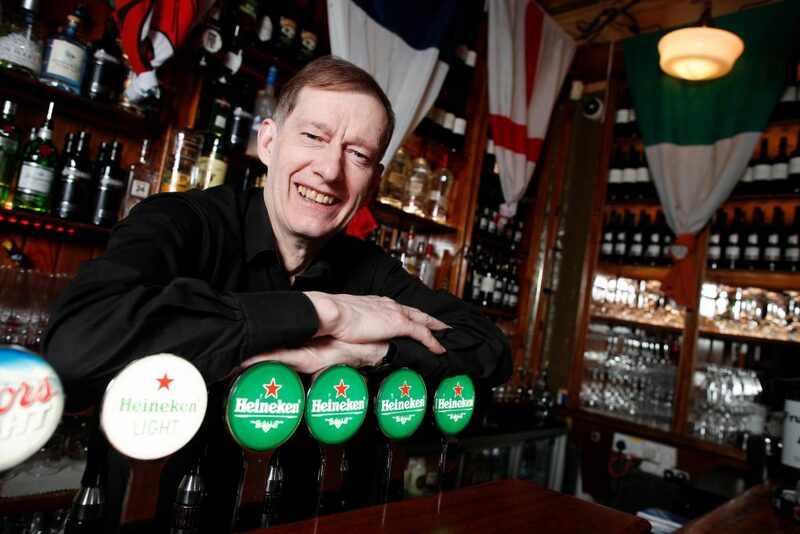 All of the pubs in Dublin have been wanting to open up on Good Friday for a few years and now they have their wish. 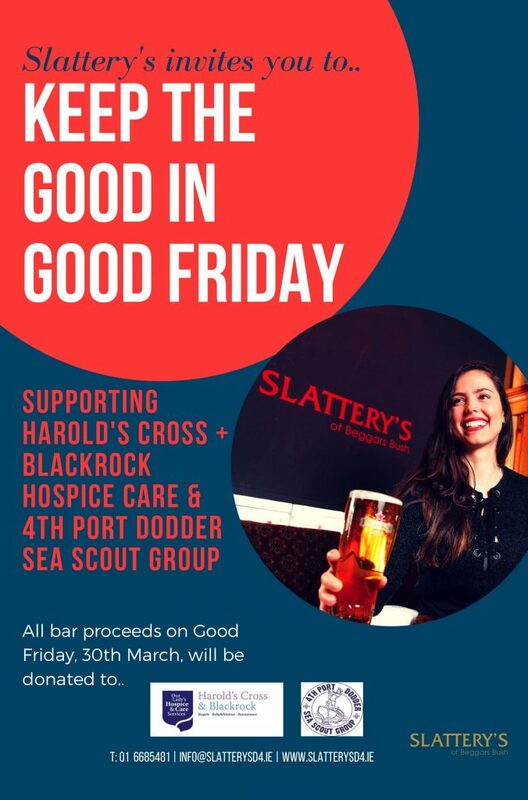 One of these pubs is using the first Good Friday open as a chance to do some good and to make a contribution to their community. 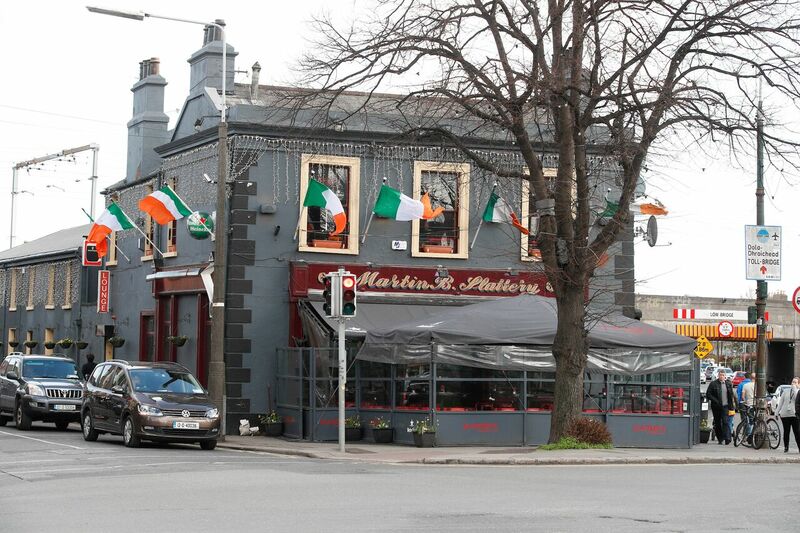 Slatterys pub in Beggars Bush will be donating ALL of the bar takings for the day and donating them to 2 charities. The nominated charities are Harold’s Cross & Blackrock Hospice Care and to local 4th Port Dodder Sea Scout Group. 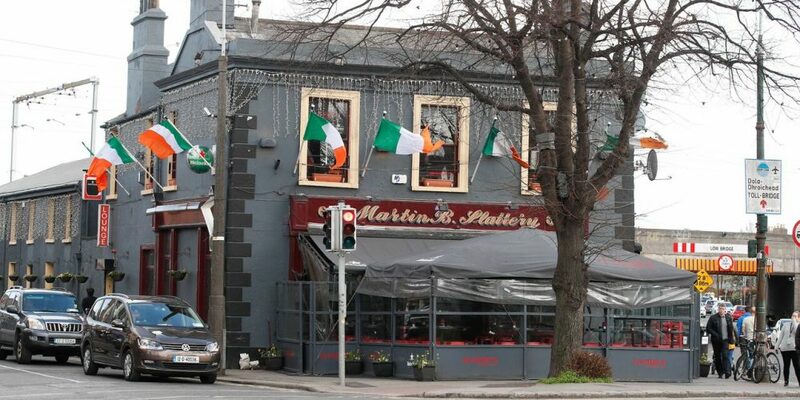 It’s a hugely generous undertaking on the part of the bar considering a Friday in any Dublin pub is liable to take in several thousands of euros and also considering there was essentially a lost weekend for pubs due to the snow a few weeks back. They’ll be open at 12.30pm all the way up to 12.30am. Fair play to Irial and all involved. If that’s not a good reason to drop in for a pint or a G and T then I don’t know what is!